You’ve probably heard by now that Prince Harry and Meghan Markle’s engagement has officially been announced! Even though they are royalty, Prince Harry decided to keep the event low key by proposing to Meghan over a simple dinner of roasted chicken. Whether you’re happy for the new couple, or sad to see the single prince officially off the market, you can recreate the magical moment of the royal engagement – in your own kitchen! 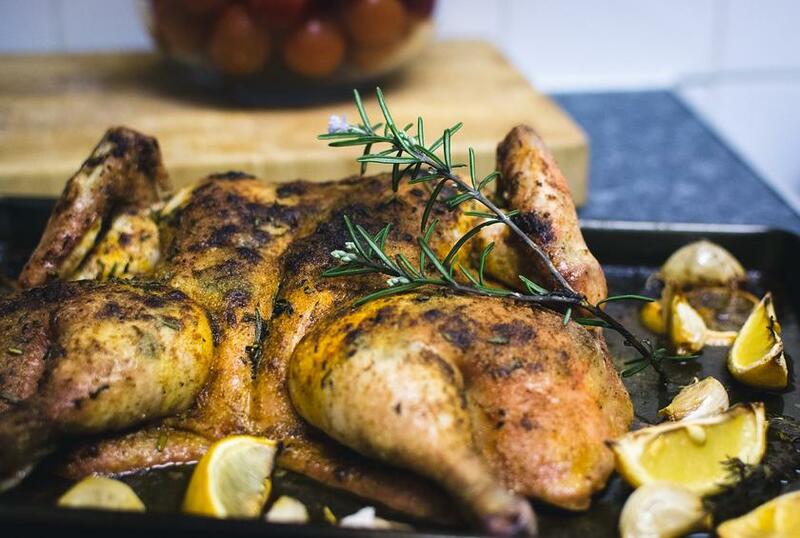 To celebrate the happy couple, Executive Chef Matthew Kajdan of The Westin Jackson is sharing his famous Whole Roasted Chicken recipe to help others propose like a royal, or just pretend they were there for the engagement. Preheat the oven to 425ºF. Melt 1 tablespoon of the butter in a skillet. Add the diced carrots, onion and celery and cook over moderate heat until softened. Stir in the herbs. Wash the chicken rapidly inside and out with hot water and pat thoroughly dry. Pull the neck skin up over the breast and secure it to the back with a toothpick. Salt and pepper the cavity and spoon in the cooked vegetables. Massage the chicken all over with half pound of butter, then truss it. Alternatively, tie the ends of the drumsticks together and tuck the wings under the body. Choose a roasting pan that is about 1 inch larger than the chicken. Salt the chicken all over and set it breast up on a rack in the pan. At 15 minutes: Brush the chicken with the remaining 1/2 pound of butter. Scatter the sliced onion, carrots and potatoes all around. Reduce the oven temperature to 350 degrees. At 60 minutes: Baste with the pan juices. Test for doneness: The drumsticks should move easily in their sockets; their flesh should feel somewhat soft. If not, continue roasting, basting and testing every 7 to 8 minutes, until instant-read thermometer registers 165ºF.